This bilingual picture book for kids depicts a loving relationship between a young girl and her grandmother. Abuela’s visits from Mexico are always full of excitement for young Sabrina. She can’t wait to see what’s in her grandmother’s yellow suitcase covered in stickers from all the places she has visited. Opening it is like opening a treasure chest, and this year is no different. Inside are a host of riches: colorful ribbons, a clay whistle shaped like a bird, a drum, and the strong smell of chocolate. 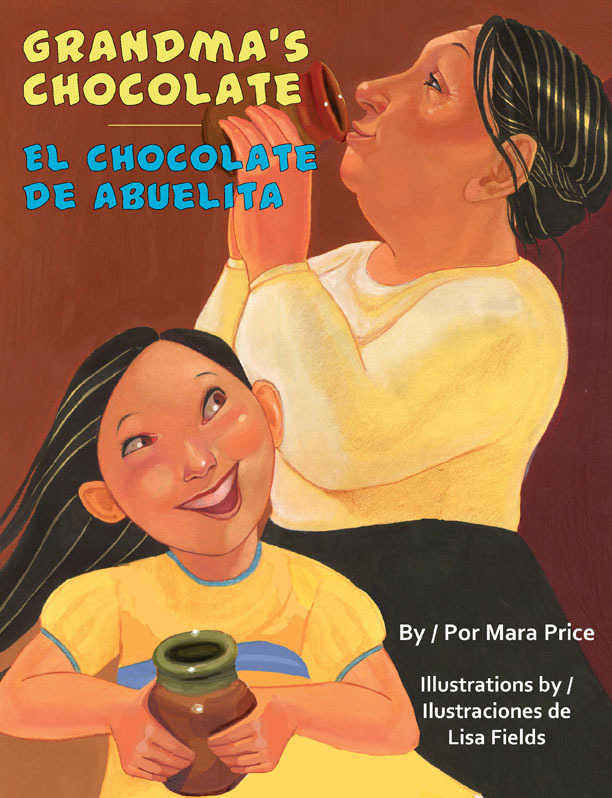 Click here to listen to an interview with Mara Price about her novel, Grandma’s Chocolate / El chocolate de Abuelita. MARA PRICE is a native of Mexico and now lives in Southern California. A member of the Society for Children’s Book Writers and Illustrators, her work has been published in Iguana, a Spanish-language children’s magazine. This is her first published book. LISA FIELDS is the illustrator of The Triple Banana Split Boy / El niño goloso (Piñata Books, 2009). She received her BFA in illustration from the Ringling School of Art and Design and attended the Illustration Academy. A member of the Society of Children’s Book Writers and Illustrators, she lives in her hometown of Katonah, New York.